Our Mini Nutty Pumpkin Bread is perfect for a little mid-day pick me up, or an on the go breakfast! This little piece of heaven, can tame your hunger at any point of the day without leaving you feeling remorseful or unhealthy! With it's high in nutrition value, this grab and go snack is the perfect choice for a healthy and delicious option! There are many benefits to living a Paleo lifestyle. This primal way of eating consists of real, whole, unprocessed foods - which means you will be cutting out preservatives, hidden sugars, additives, and other unnatural ingredients found in many of today's foods. Paleo isn't just a "diet," it's a more holistic way of looking at nutrition and the foods you choose to eat. According to recent studies, people who combine a Paleo style of eating with a steady regimen of regular exercise have experienced sustained weight loss while increasing lean muscle growth. In other related cases, the Paleo lifestyle has helped improve digestion, decrease incidence of food-related allergy and has become an effective and alternative way to reduce blood pressure, cholesterol and triglyceride levels. The Paleo concept isn't new - it has been around for thousands of years, we at Base Culture® are simply perfecting it. 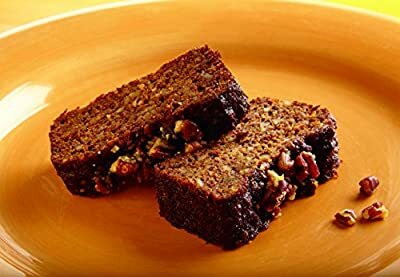 We utilize the most natural ingredients in sweet combinations to bring you delicious Paleo baked goods that will satisfy your most primal cravings. With the help of Base Culture®, living the complete Paleo lifestyle has never been easier. Gluten Free, Grain Free, Dairy Free & Soy Free! Our Products are all natural & made with no artificial ingredients or preservatives. We use the highest quality ingredients and are 100% Paleo Certified Our Pumpkin Bread is a year round must have! Mini Pumpkin Bread is the perfect size to grab on your way out the door in the morning!